About 500 soldiers of the 72nd Mechanized Battalion started the Dukla Spirit 2018 and Joint Fires 2018, two-week exercises - 10 thousand soldiers from 13 NATO armies are taking part at the NAMEJS 2018 exercise in Lithuania, including the Czech Army's task force which is part of the eFP Lithuania - Czech paratroopers excelled at the 42nd World Military Parachuting Championship 2018 - New director of the Military Research Institute named - An exhibition entitled „The Air is Our Sea“ was opened in front of the site of the General Staff of the Czech Army in Prague to commemorate the 100th anniversary of the formation of the Czechoslovak Air Force. On 18th August Prime Minister Andrej Babiš (ANO) said he hoped Jan Hamáček (ČSSD) could resolve the problem concerning the Ministry of Foreign Affairs within two months at the latest. Jan Hamáček was named Minister of Interior and Minister of Foreign Affairs at the same time, as a temporary solution after President Miloš Zeman refused the only candidate for the foreign ministry, Miroslav Poche (ČSSD). Andrej Babiš expects Jan Hmáček and ČSSD to put forward a different nominee, acceptable for the President. 10 thousand soldiers from 13 NATO armies are taking part at the NAMEJS 2018 exercise in Lithuania, including the Czech Army's task force which is part of the eFP Lithuania from the 20th August till the 2nd September. "It is also a great way to display unity and cooperation between the eFP Battle Groups in collectively safeguarding the security of NATO nations," commander of the Czech Task Force in Lithuania Lieutenant Colonel Jiří Líbal said. On 21st August we remembered the 50th anniversary of the invasion of 250,000 troops and 4,600 tanks of the Warsaw Pact (Soviet Union, Bulgaria, Hungary, East Germany and Poland) which effectively ended the liberalisation reforms by Alexander Dubček's Communist Party of Czechoslovakia known as Prague Spring. Killing 137 Czechoslovak people and seriously wounding 500 on 21st August and in the following months. After 1938 (Munich crisis), 1948 (communist coup d'état), 1968 became another fatal "8" for this country. The 42nd World Military Parachuting Championship 2018 organized by the Hungarian Army took place in Szolnok, Hungary, from 10th to 21st August 2018. The Czech Army’s Team (First Lieutenant Libor Jaroušek, Warrant Officers – OR-7 – Jakub Pavlíček, Petr Směšný, Oldřich Šorf, and Staff Sergeants – OR-6 – Miloslav Kříž and Bonifác Hájek) won the gold medal in the Team Overall Male classification. 1st Lieutenant Libor Joroušek won gold medal in the Individual Style Male classification, and Warrant Officer Oldřich Šorf won gold medal in the Individual Overall Male classification, and bronze medal in the Individual Accuracy Male classification. On 22nd August Minister of Defence Lubomír Metnar named Ing. Pavel Čuda, Ph.D. new director of the Military Research Institute. Mr. Čuda is former head of the Head of CBRN Division of the Institute and an erdudite expert in chemical, biological and radiological protection. 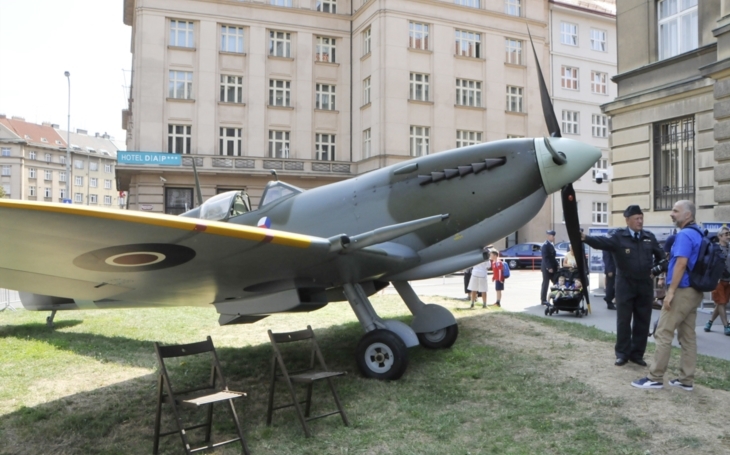 On 22nd August an exhibition entitled „The Air is Our Sea“, by historian Jiří Rajlich from the Military History Institute, was opened in front of the site of the General Staff of the Czech Army in Prague to commemorate the 100th anniversary of the formation of the Czechoslovak Air Force. The vernissage was attended, among others, by the commander of the Czech Air Force, Brigadier General Jaroslav Hromek.